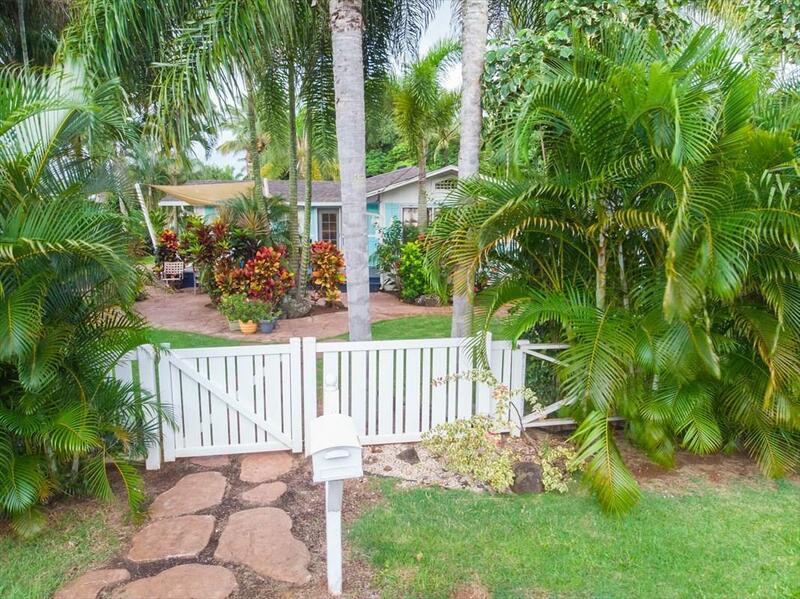 Less than five minutes walking distance to either the ocean Wailua Bay or the Wailua river. Kayak, snorkel, windsurf, or just enjoy the tropically landscaped yard.Just when you thought it couldn't get any better,,,,it did. 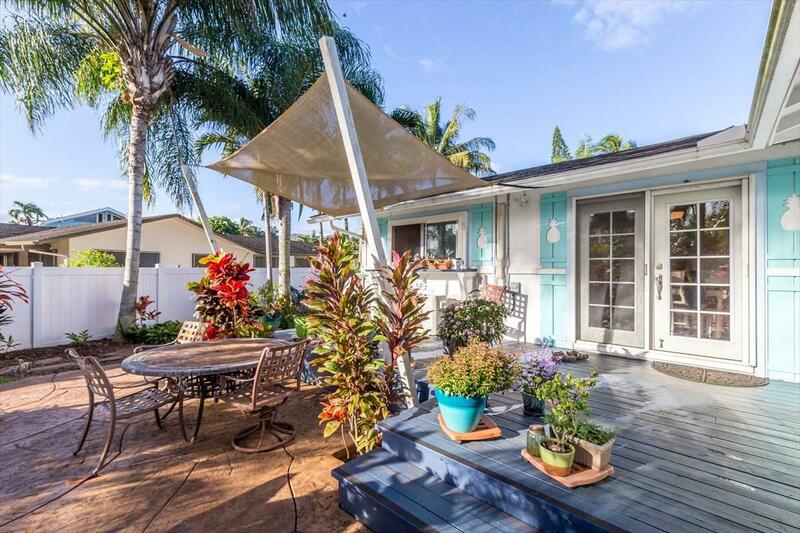 The Pineapple House, as it is fondly referred to, has had yet another "Face Lift" and she is looking GORGEOUS!Additional square footage has been added in the form of a magnificent and functional Master Bath and increased Bedroom size in 2 of the 3 bedrooms. Beautiful Granite has been added to the already amazing kitchen and upgraded Stainless Steel appliances. 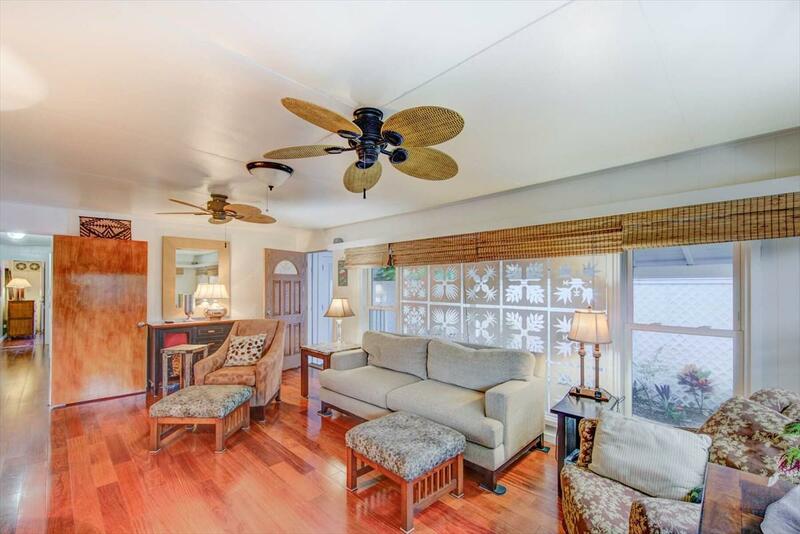 Beautiful Hardwood Floors and a Zoned Air Conditioner unit will keep you cool when the tropical breezes let you down.Multiple private lanai areas off of each of the bedroom as well as the Main Grand Deck and Lanai off the Kitchen for easy access and entertaining. 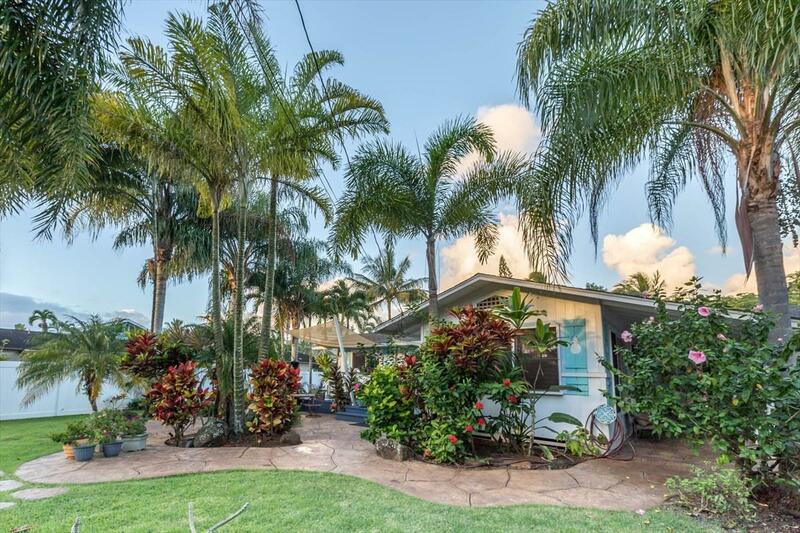 Lot's of new Tropical Landscaping and a new Sound Attenuation wall creates the privacy and calm quiet environment of your dreams.This is a piece of paradise all packaged in this charming, fully remodeled plantation style home of yesteryear. As you step inside the home you will immediately see the love and planning that went into this recent remodel. It is a three bedroom, 2 3/4 bath home with a new two car garage, and almost 1000 sq ft of outdoor living areas. It is across the street from the Coco Palms coconut grove and it feels like you have stepped back in time to a piece of Old Hawaii.